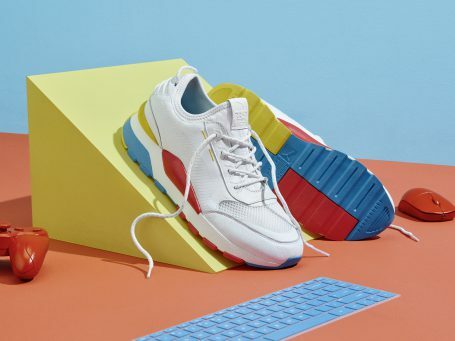 After breaking ground with the future retro reboot of the R-System, PUMA is dropping new iterations of its latest RS-0 model that explore cultural genres such as gaming, music, photography and more. With a totally new silhouette the RS-0 range has a future look that greatly resembles the past. For the gaming pillar, PUMA introduces the RS-0 PLAY. Inspired by 1980s video games, this fun pack plays with color pops and translucent details. The key style boasting in primary colors features a leather upper with subtle perforations on the vamp and a tonal embossed Formstrip. Red and yellow padded inserts inspired by game console buttons are featured on the midsole while the outsole has a modern color-blocking design. R-System logos are present on the tongue and outsole.